Wash two cups of jasmine rice through a sieve to remove starches. Dump rice into pot, add two cups of water (or chicken broth). Add a pat of butter and a pinch of salt (and if you’re me, MSG powder). 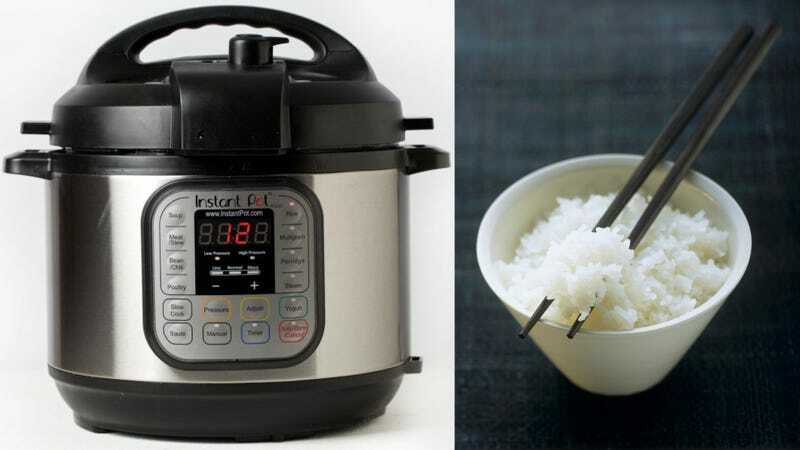 Set Instant Pot on manual high pressure for four minutes, with vent sealed. Let cook, allow for 10 minutes of natural release. Fluff rice with the scoop paddle that came with Instant Pot. Serve.